7% commission on every lottery ticket sold. $50,000 retailer bonus for selling the winning Powerball and/or Mega Millions Jackpot ticket. $10,000 retailer bonus for selling a winning Instant-win ticket with a top tier prize valued at an advertised $1,000,000 or greater. 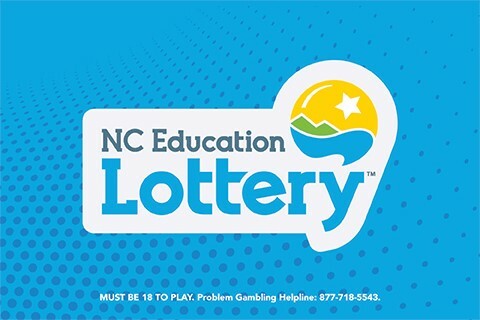 $1,000 rolling bonus for selling the winning 5 of 5 Carolina Cash 5 Jackpot ticket (this amount rolls to the next drawing if no 5 of 5 Carolina Cash 5 Jackpot winner is drawn and caps at $10,000). Potential to increase customer traffic, creating opportunities to cross-merchandise other products resulting in overall store profits. Marketing assistance provided through your Corporate Accounts Manager & Lottery Sales Representative. Statewide lottery advertising and promotional programs. Provides another sales category for customers.